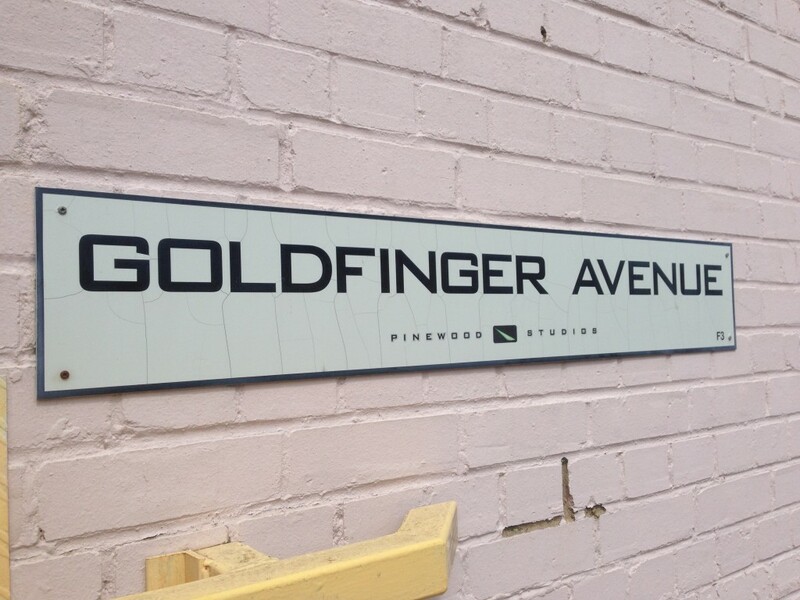 Mark (one of our Media Dog Captains) was out and about at Pinewood Studios this week scouting out some new Avid Editing systems when he got a bit lost and stumbled down two roads… An avenue which had him humming and whistling a very famous James Bond tune for the rest of the week and one that took him quite literally, on a trip down memory lane – what a ‘Carry On’! Whilst recording the famous Goldfinger theme song apparently Shirley Bassey nearly passed out in the recording studio after holding the last note for too long – luckily Mark didn’t experience the same problem. 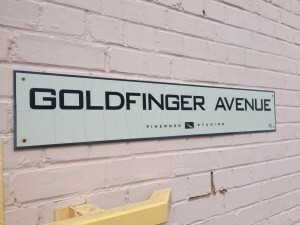 We love a bit of ‘techy’ sound editing and so did Norman Wanstall the Sound Effects Editor on Goldfinger (1964 film) who simulated the sound of a car crumpling using the sound of crumpling beer cans! Cheers to that. Peter Rogers was most famous for producing a whooping 31 of the laughter-inducing ‘Carry On’ films and produced over 100 films during his successful career. 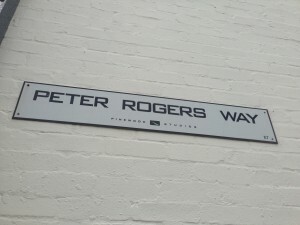 According to IMDB, Peter Rogers was quoted as saying: “They were all alike, weren’t they? We made 31 films out of one gag.” when referring to the Carry On films. As a young boy he was terrified of cows!